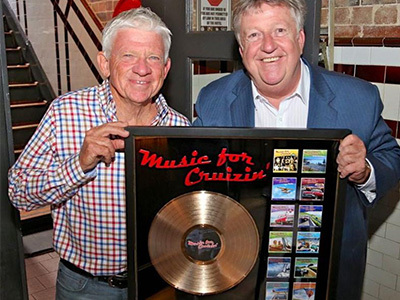 Barry’s ARIA award winning CD compilations Music for Cruizin’ released through Sony Music, have sold in the thousands. 42 terriﬁc touring tunes …. 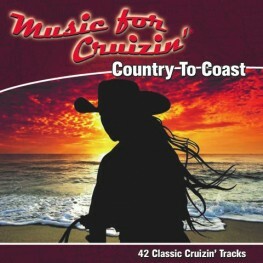 a musical companion when you are on the road travelling from country to coast. A personal songbook for when you are going places, includes Lee Kernaghan, Alan Jackson, Slim Dusty, Kenny Chesney, John Farnham, Coldplay, Paul Simon, Jeﬀ Buckley and much more. 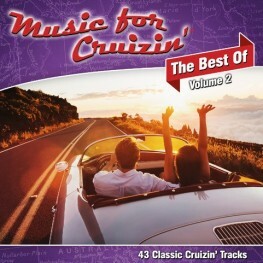 The Best of Music for Cruizin’ Volumes One and Two personify the pedigree of this ARIA award- winning catalogue of terriﬁc touring tunes. Containing some of the most loved pop songs of our generation from artists like… Cold Chisel, Billy Joel, John Farnham, The Cars, Eva Cassidy, Elo, Pretenders, and more. 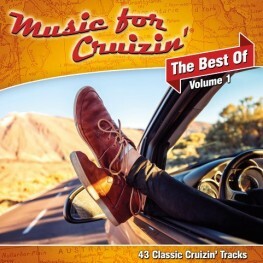 The Best of Music for Cruizin’ Volumes One and Two personify the pedigree of this ARIA award- winning catalogue of terriﬁc touring tunes. Containing some of the most loved pop songs of our generation from artists like…Willie Nelson, Simply Red, Alan Jackson, Crowded House, Glenn Campbell, Boz Scaggs and many more. 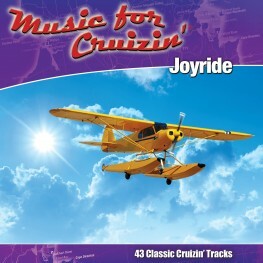 Over time I have purchased all 14 of your Music for Cruizin’ CD’s. Let me assure you they get a great work out. I’ve even transferred them to my iPod, so there’s no escaping either at home or in the car. Love your selection of music. 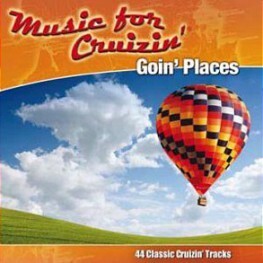 I have travelled around OZ and all points in between with Music for Cruizin' the soundtrack of my memories. A collection of terrific touring tunes mixed with a ‘coastal cocktail’ of jukebox memories and endless aussie summers. 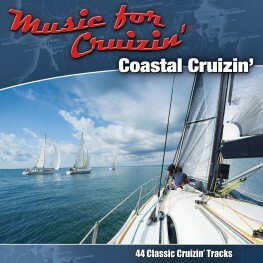 A musical companion whether you are on the water, on the road or just ‘coastal cruizin’. Classic pop tracks from The Beach Boys, David Campbell, Guy Sebastian, John Denver, UB40, 10 CC, Jimmy Buffett, Kenny Loggins, Elvis and much more. 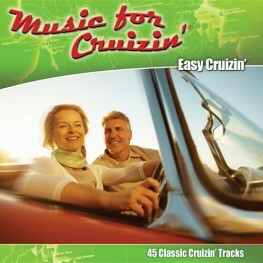 “Easy Cruizin” brings together 45 classic tracks from some of the greatest artists of our time including Billy Joel, Boz Scaggs, Sade, Crowded House, Eva Cassidy, Glen Campbell, Olivia Newton-John and many more. Sixties and seventies classic hit collection featuring original songs from Simon and Garfunkel, Janis Ian, Glen Campbell, Bobby Bare, Tony Christie, Johnny Cash, Kenny Rogers and lots more. 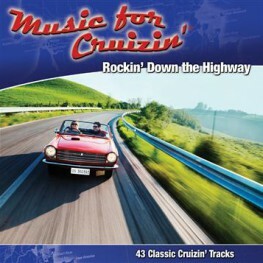 43 great hits from great artists such as Roxette, Santana, Elton John, Rod Stewart, Meat Loaf, Electric Light Orchestra, The Jacksons, The Beach Boys, Cyndi Lauper and so on. There have been more songs written about romance than any other topic so it is fitting to include some great contemporary standards in our Music for Cruizin’ series. 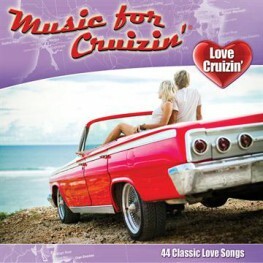 Love songs for all those who Love Cruizin’. Ray Charles, Tom Jones, Carly Simon, Cher, Boz Scaggs, Barry Manilow, Ronan Keating, Simply Red, Bread and more. The title says it all. The engine is throbbing, the tank is full, the caravan is on the back and your rocking down the highway heading for somewhere great. Here’s a collection of terrific touring tunes to keep your hands on the wheel, your mind on the road and the stereo pumping. Tracks include Doobie Bros, Smokie, Ted Mulry, Manfred Mann, Tears for Fears, Santana, Jefferson Airplane, the Hollies and heaps more. 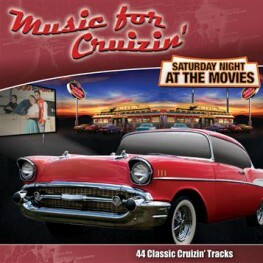 'Saturday Night At The Movies' features 44 classic hits by artists including Lionel Richie, Lulu, Bob Dylan, Harry Nilsson, Van Morrison and of course the Drifters classic 'Saturday Night At The Movies'. May Bull-e-tin Market share or mind share? I have just finished reading your latest book and just wanted to thank you for a great experience. I really enjoyed it and found it both extremely informative and intriguing as well as inspirational. 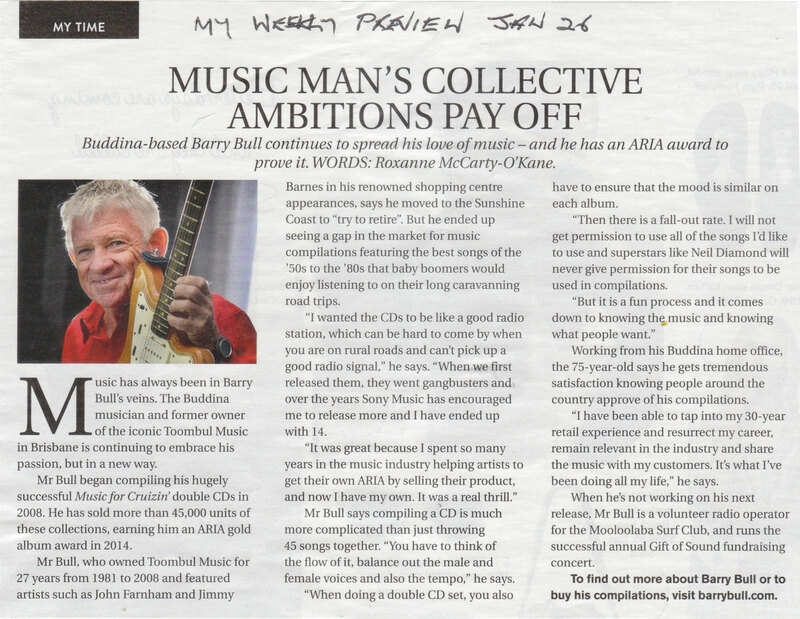 It was great to learn more about you and your incredible journey within the music industry. I absolutely loved your chapter on 'No is Negotiable' and honestly couldn't agree more with this concept especially when relating to it as a singer-songwriter. 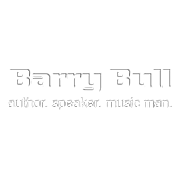 "I just finished your latest book ’Take the bull by the horns' - loved it. What an interesting life you've had."